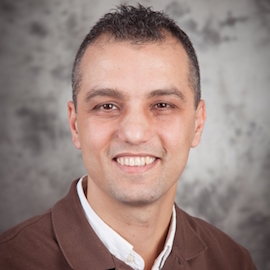 Moussa Obeid, a fourth-year PhD student is the Lazaridis School's representative at the 2017 AMA-Sheth Foundation Doctoral Consortium. The AMA-Sheth Foundation Doctoral Consortium is the premiere consortium in the marketing discipline. It brings together the very best doctoral students from business schools in the United States, Canada, Europe, and the rest of the world. This year's consortium will be held at the University of Iowa. Moussa's research examines the relationship between the pace of internationalization for young ventures and business performance. He holds an MBA and a BBA from the American University of Beirut, and joined our doctoral program with over a decade of international marketing and brand management experience in the telecommunications and advertising industries.